Firefighters and nature combine to end the brutal Sand Fire in Santa Clarita. 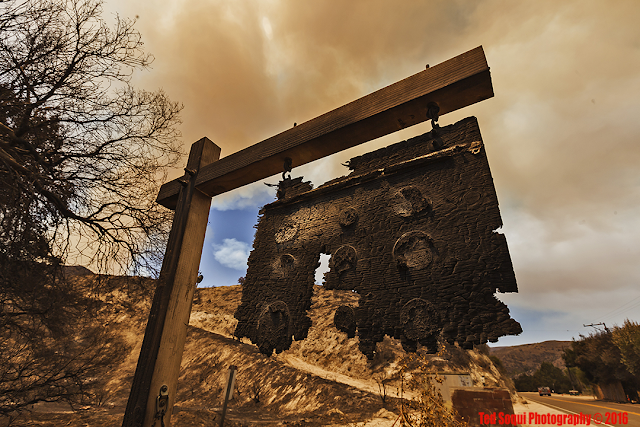 The final back fires were set and nature added higher humidity to quash the last of the disastrous fire. 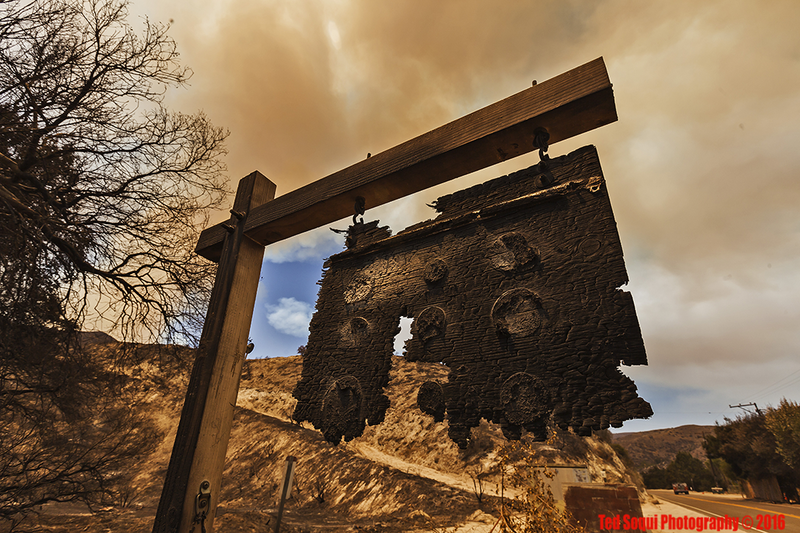 The fire burned over 38,500 acres of land. 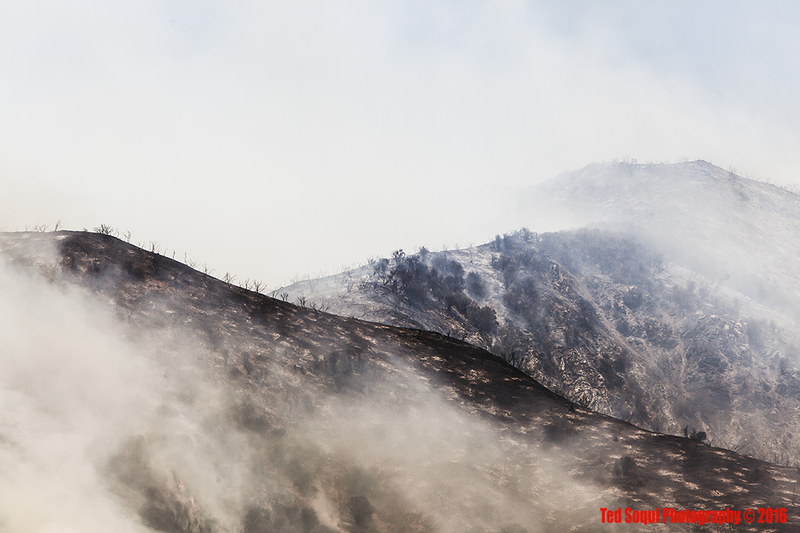 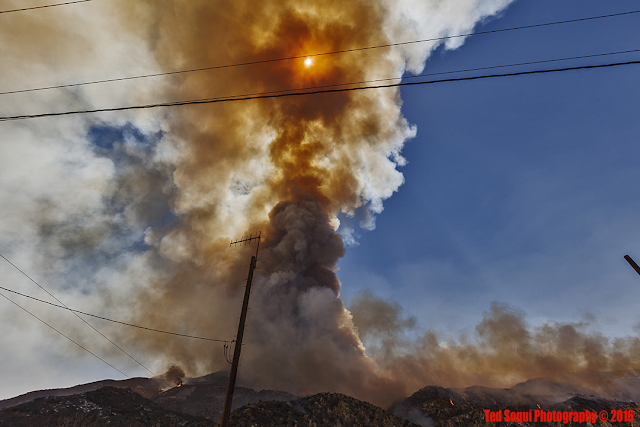 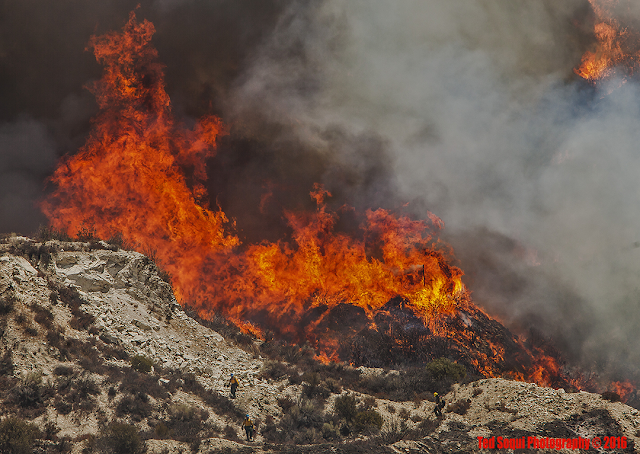 Here are some images from the Soledad Canyon area. 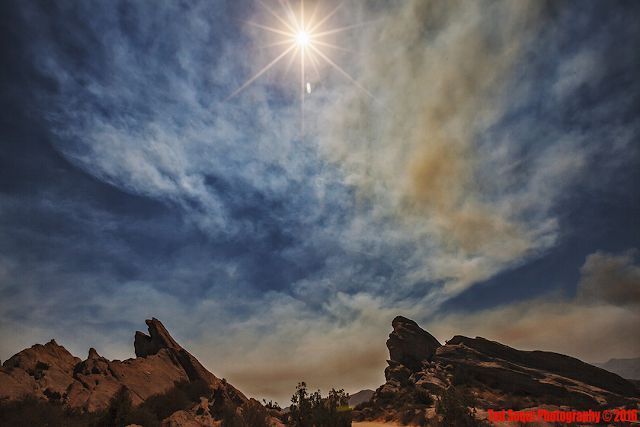 The sun over the Vasquez Rocks.